A round robin workshop features 10-20 warped looms, each with a different pattern. Participants submit a pattern in advance and bring a loom warped with that pattern to the workshop. When the workshop concludes, participants have a collection of pattern samples they've woven, and a notebook of drawdowns. The workshop is usually held on a weekend in February. 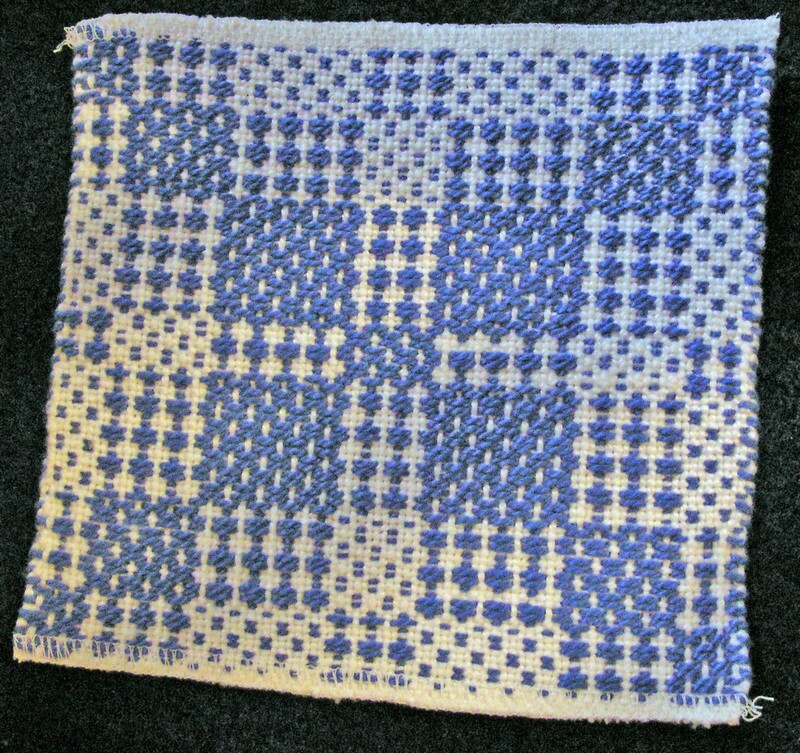 A sample pattern from a pattern workshop. Mini-workshops and single-day events are frequently planned as extension of meeting topics. The first mini-workshop of 2009-10 is Handwoven Jewelry on September 19, 2009. For details and registration information contact the pattern workshop chairperson. Additional workshops will be announced throughout the year. 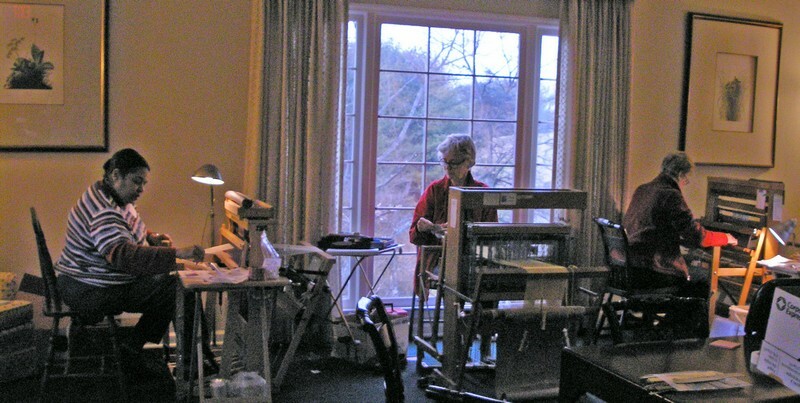 Weavers at work in a recent workshop. For more information on Workshops please contact info@handweaverstn.org. You can also visit us on Facebook at Handweavers Guild of Nashville.